Here’s a popular high school chemistry fact: Helium atoms don’t interact with other atoms to create compounds. Well, that fact might need some reevaluating. An international team of scientists think they’ve created a stable helium compound, meaning one composed of both helium and sodium atoms together. The discovery would be wild not only because of the way it goes against some of our basic assumptions of chemistry, but would also help scientists better understand the way atoms act in the high-pressure centers of gas giant planets. “Chemistry changes when you apply high pressure, and this can be achieved inside our Earth and on different planets like Saturn,” study co-author Ivan Popov, a doctoral student at the Utah State University, told Gizmodo. “But this,” chemistry involving helium, “is a book changer.” Other noble gasses, like xenon and argon, have previously been shown to bond with magnesium under high pressures. If this sounds familiar, it may be because last week, researchers announced they’d produced metallic hydrogen using a very similar high-pressure experimental setup—though other scientists had a lot of doubts about that result. This time around, at least one scientist found the results more convincing. “This is much sounder science,” Henry Rzepa, a professor at Imperial College, London, who was initially skeptical when I told him about the new study, said. “This helium compound is a breakthrough.” He pointed out that, of course, other scientists would need to complete similar experiments in order to verify whether a helium compound had actually been found. That means these compounds won’t have much use on Earth, and can only exist under strange conditions like those at the center of gas giant planets like Jupiter and Saturn. 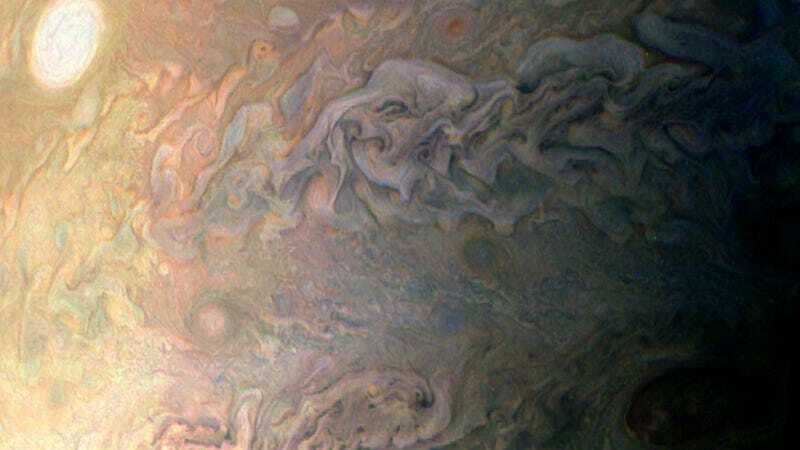 The helium-sodium compound could therefore give us insight into what chemistry might be like inside other planets, the paper’s authors write, since those gas giants have plenty of helium. Correction: This article has been edited to correct Ivan Popov’s university affiliation.